 Dakataua volcano is a large caldera on the northern end of Willaumez Peninsula, New Britain. The elliptical caldera, 13.5 km E-W and 10.5 km N-S, is one of New Britain's most impressive volcanoes. The caldera contains the 12 km wide horseshoe-shaped Lake Dakataua which is at only 50 m above sea level. The Dakataua caldera formed during probably several Plinian eruptions. The last one occurred about 1150 years ago, and was followed by at least 5 subplinian to vulcanian explosions. The highest point of the volcanic complex is Mt Makalia (350m), a small andesitic stratovolcano (or large cinder cone) that formed after the caldera. Together with other post-caldera cones and explosion craters aligned on a N-S line, they form a large peninsula of the lake. 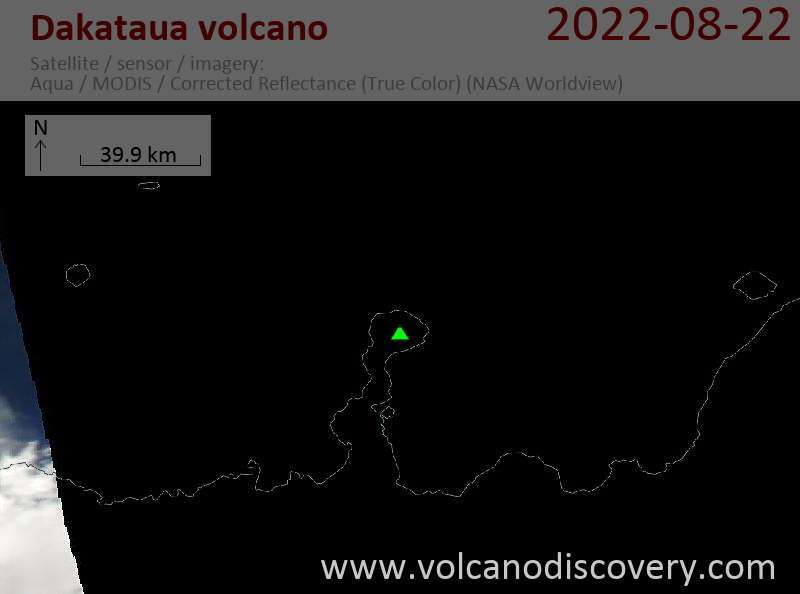 The last activity from the volcano was from Makalia in the lat 19th century. At present, there is fumarolic activity occurs at the summit of Makalia and warm springs are found in the lake at the base of the mountain. A major submarine debris-avalanche deposit is found NE of the volcano on the seabed. It could represent edifice collapse prior to caldera formation. 2 vertical fault-bounded blocks form topographic highs at the western and eastern sides of the caldera. Dakataua volcano has a history of major eruptions producing widespread airfall tephra deposits. Dakataua tephras are less silicic and more alkaline than the tephra layers from Witori and can easily be distinguished from the latter. The last caldera-forming plinian eruption at Dakataua volcano took place around 800 AD and erupted 10 cubic km of magma. The eruption can be compared as similar in ssize as Krakatau in 1883.